Marmalade Technologies Ltd is attending Build 2016, Microsoft’s annual developer conference. Between March 30 and April 1, the team behind the award-winning game development platform will be on-hand in the Moscone Center, San Francisco, showcasing the latest version of the Marmalade Platform. Marmalade is excited to demonstrate how the Marmalade Platform, Windows and Visual Studio work together to create innovative games for Windows 10 and more. The Marmalade Platform offers simple, direct integration with Visual Studio 2015, requiring only a single click to open your project in the IDE: it’s then ready to build, deploy and debug. Build 2016 delegates will also see how Marmalade 2D Kit reduces the time and cost of building a rich, dynamic and engaging UI experience for gaming apps. On top of this there will be an opportunity to glimpse the future of Marmalade 3D Kit, including Marmalade’s next generation graphics architecture, built to take full advantage of technologies such as DirectX 11 and DirectX 12. Marmalade will be at booth #707 during Build 2016. All Windows developers attending the event are invited to visit us to see the Marmalade Platform and Visual Studio in action together. Build 2016 visitors interested in speaking to Marmalade in person at the event can book a meeting via the Build 2016 event page on the Marmalade website. Marmalade is at GDC 2016, showcasing Marmalade 2D Kit, available as part of the award-winning Marmalade Platform. Marmalade 2D Kit offers a set of tools and APIs to make creating 2D content easier than ever before. With a focus on user interfaces, Marmalade 2D Kit, can dramatically reduce the time and cost of producing a rich, dynamic and engaging UI experience for your game. A good in-game UI is crucial to the overall player experience and with built-in support for UI widgets and a powerful keyframe based animation system, Marmalade 2D Kit lets you take full advantage of this key factor. By supplying a dedicated runtime as part of Marmalade 2D Kit, integrating the content you create with your existing pipeline and game code is quick and straightforward. Marmalade 2D Kit uses an open format for content, allowing the possibility of integration into any codebase in whatever way you want. Marmalade 2D Kit is available now as part of the latest Marmalade Platform release. adjust, a leading app analytics and attribution company, today released the fourth generation of its SDK offering new capabilities to transmit data from apps to other analytics providers. With better and more sophisticated tools for analytics and user acquisition, mobile marketing is increasingly revolving around leveraging and moving data across third party platforms – from analytics and notifications to email and automation – and with today’s release, adjust is providing best-in-class tools for marketers to manage their app data for optimizing user acquisition and monetization. With the SDK 4.0 update, clients can now transmit additional, structured data to adjust’ s integrated mobile measurement partners, including Google Analytics, Facebook and Twitter. These partners provide functionality above and beyond the core analytics framework, and can now pull more critical data from adjust without requiring the integration of an additional SDK. adjust is committed to building world class tools for marketers, and as such, its network integration team has been working around the clock, adding over a dozen new partners every week. With today’s SDK release, adjust also revealed that it has achieved a major milestone and is now integrated with over 500 other major networks worldwide. The vast majority of adjust’s partners use a dynamic callback API, allowing networks ad hoc, fine-tuned control of data flows, and relieving clients of the burden to make sure their traffic partners are integrated. Clients can plug in new network partners at any time, without requiring additional conversion tracking SDKs to be implemented. This drastically reduces the lead-time for clients to add new partners to their acquisition strategies or internal analytics. For instance, gaming clients can setup an integration with long-time partner GameAnalytics in just minutes, unlocking the full functionality. #include is a cosy, informal winter meetup in London for indie developers to share in the magic of mobile game development. Marmalade have pulled together an interesting lineup of speakers who want to share their knowledge and experience with you, helping you make your projects better and your games fly. #include is split into 2 parts – Making Games and Selling Games. The event will be taking a close look at what makes games successful, from tech to toolkits to platforms, analytics, services, and discovery on stores. Confirmed so far are speakers from Amazon, Microsoft, Nomad Games, Lemon Moose Games, GameSparks, Ukie, Develop Magazine, and many more to come. Attend #include for a great day of listening, learning and knowledge sharing with the indie dev community. Win great prizes in the #include challenge (theme ‘Bah! Humbug!’), enjoy a free lunchshare and then some beers at the end of the day! Sign up here: http://bit.ly/10mJnU0 Tickets are £10 which is fully refunded at the event. 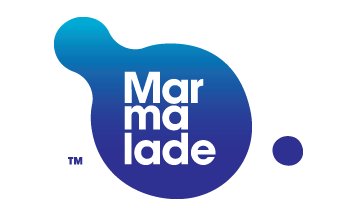 Cross-platform game development SDK Marmalade Technologies Ltd announced today that all iOS game developers can now use the Marmalade SDK to bring their games to a market of over 1 billion additional devices worldwide. Marmalade Juice, the new iOS to Android porting tool, will be included in all Marmalade licenses and from today, for a limited time, the annual Community license is free. The full release of Marmalade Juice will be welcome news to millions of game developers who, until now, have taken a single platform approach, finding themselves locked into the iOS ecosystem and unable to maximize the wider market opportunity for their app. Now, using Marmalade Juice, developers have the ability to recompile their Objective-C code for Android, providing a clear and cost-effective route to stores including Google Play and the Amazon App Store. Once their games are compiled into Marmalade, developers have many of the benefits of working within the cross-platform SDK such as maintaining a single codebase and the option to target further platforms in the future. Justin Ng, Engineering Manager, Storm8: “Working with Marmalade Juice has made the process of bringing games to Android almost invisible. The Marmalade toolset integrates well into our process and because everything is still developed in Xcode, there was a minimal learning curve. Using Marmalade Juice was incredibly easy and allowed us to focus on what we love – building hit games for our more than 50 million monthly active users”. Marmalade Juice now comes included with all Marmalade SDK seats at no additional cost. To celebrate GDC 2014, Marmalade Community licenses will be free for a limited time, so all qualifying iOS developers can unlock their games to Android for free. Developers should use code: GDCFREE here: www.madewithmarmalade.com/free. Extreme Reality, the only company to bring full-body motion analysis and control via a device’s native or peripheral camera, today announced the call for submissions for the Extreme Motion Android Challenge 2014. The contest, open to Android game developers, gives participants a chance to win prizes of up to $8,000, and a meeting with gaming pioneer and the founder of EA Trip Hawkins, for the most innovative uses of motion control in an existing or new Android game. 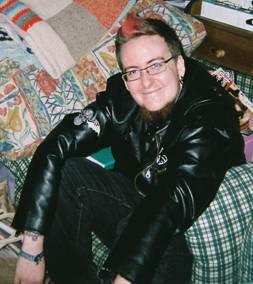 Games submitted by the deadline of May 20, 2014 will be evaluated by a panel of judges led by Trip Hawkins. The grand prize winner of the contest will receive $8,000 and a meeting with Trip Hawkins and three additional winners will receive $1,000 respectively. With Extreme Reality integrated into an Android game, all a player needs to do is place their Android device on a table with the device’s camera facing them, take two steps back, and the motion of their body will be captured and analyzed in real-time, enabling their motion to control the game. Similarly, an Android device can be tethered to a larger screen, such as a TV, so a player can enjoy the same level of immersive motion control offered by console systems. Developers can sign up now by submitting their project proposals at http://www.xtr3d.com/android-challenge-2014/. After their concept has been approved, they will receive the Extreme Reality Android SDK that enables them to easily incorporate motion control into their game. The Android SDK will be sent by March 17 to start development until May 20when they will submit the game to Extreme Reality. Evaluation of the games by the judges will begin May 25, and winners will be announced on May 30. Gameplay – The storyline and mechanics that underpin the game. Is it fun to play? Stickiness – Does it have lasting appeal? Is it addictive? Would you finish the game? Would you play it again? Polish – Is the game ready for prime time? Usability – Is it easy to use with minimal explanations? Is it intuitive? This would be a good challenged for some Train2Game student studios and give you access to some powerful software. There is also the chance for some healthy prize money and to meet someone who could offer invaluable advice. 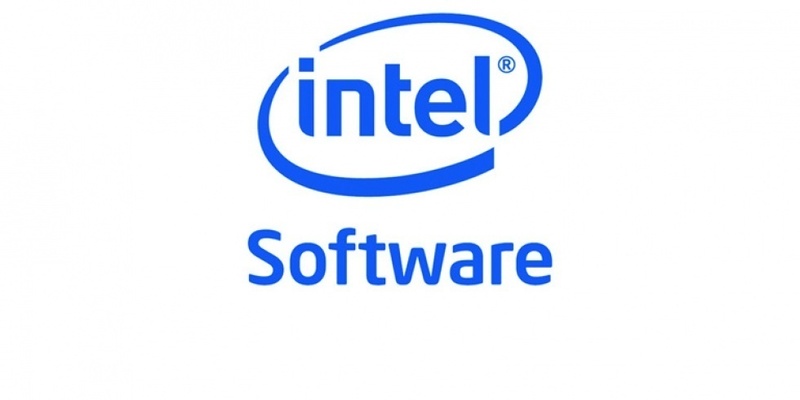 On 6 February 2014, Intel Developer Zone invites developers to come to its Intel CodeFest, taking place in London at Skills Matter. At the event you’ll get the chance to network with fellow coders as well as hear some great talks from Intel’s engineers and experts on Android development. The evening will kick off with an Intel dev expert giving you the low down on what Intel is doing in the Android ecosystem, an overview of Intel’s Android devices and an introduction to the range of development options. After that we will dive into the details of Dalvik development, followed by how to get the most out of WiDi and the APIs for a second screen experience. Up next you’ll find out how to get the best out of Android’s Native Development Kit (NDK) and finally you’ll learn about how to effectively test your applications through both virtual device testing and real device testing – with lots of devices at the event for you to go hands on with. If that’s not enough, we’ll also have some extra special guests in the form of Intel partner Marmalade, who will be at the CodeFest to reveal all you need to know about getting the best performance out of the Marmalade SDK for games development on Intel-based devices. All of this and plenty of food and drink – there’ll even be a prize giveaway of a Lenovo K900 as well, so you might come away with more than just Android knowledge! To guarantee your place, RSVP here!